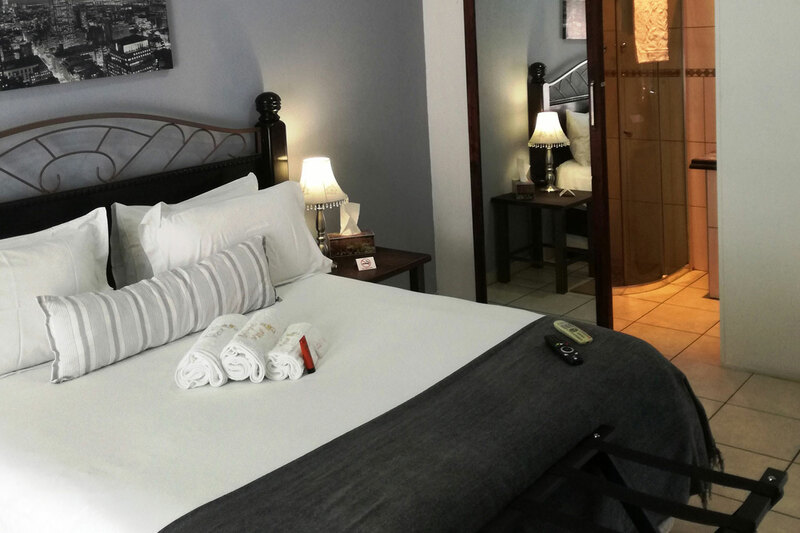 Spacious upper level room, ideal for a longer stay with en-suite walk-in shower. Seating available on balcony. Scenic hills from Nature Reserve in the distance are visible. This room has a Queen bed (larger than double).